Studio 15 is a new affordable housing project in downtown San Diego’s “East Village” area. Proving affordable housing doesn’t have to sacrifice rich design, this single room occupancy project was envisioned by architect, Carrier Johnson, as an urban artist’s colony with apartments, art studios and a community gathering space. 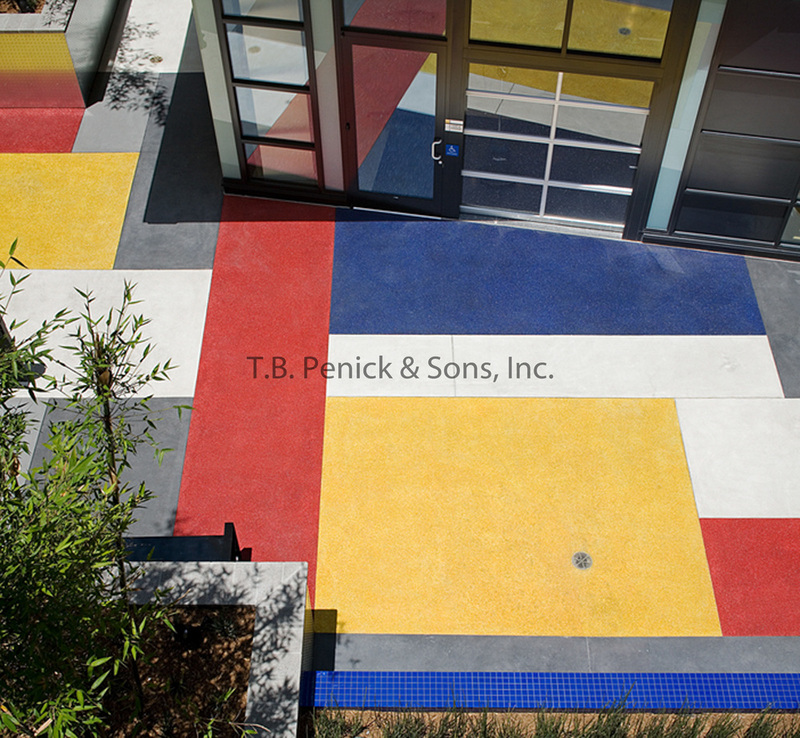 Landscape architect, MW Peltz, brings the spirit of the De Stijl Art Movement to life through Studio 15’s colorful paving pattern in the project’s open-air courtyard. 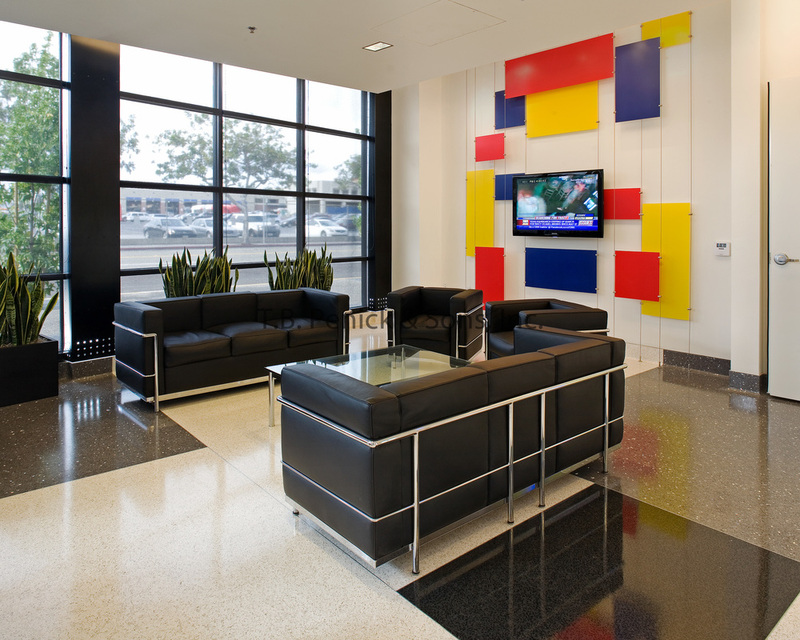 The vibrant experiential courtyard took seven weeks to complete. The Lithocrete® paving selected was poured 4” thick on deck by a 4-5 man crew. 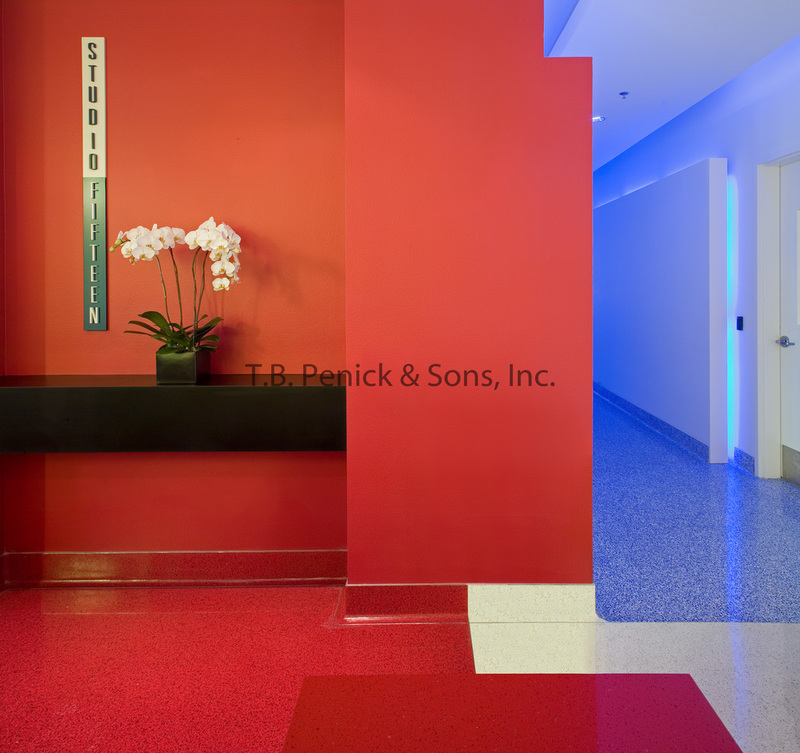 To achieve the intense colors, the concrete contractor, T.B Penick & Sons, utilized white cement mixed with integral color and seeded with recycled glass aggregates in blue, red, yellow, and white. Each color was a separate pour.